Is the health of the Chesapeake Bay improving? 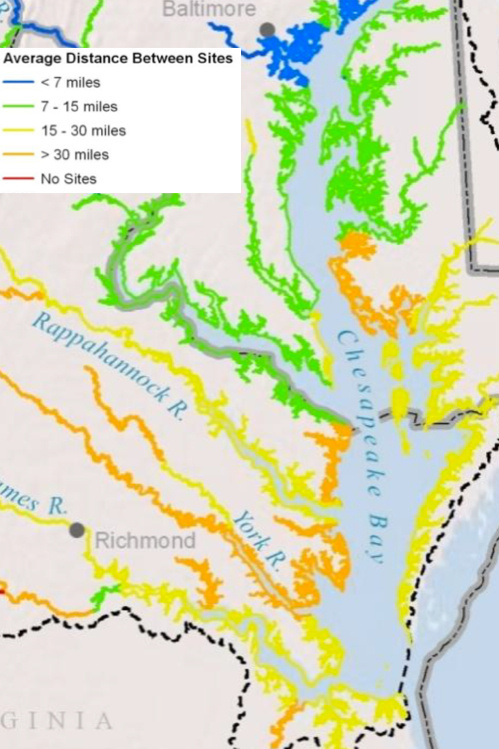 Is more public access to the Chesapeake Bay required? Should it be mandatory for all boaters to wear life jackets? Life vests are really hot to wear. They’re so hot, I’m afraid of getting heat stroke. Life vests are too bulky and get in the way of everything. I’ve missed catching trophy fish because of it. Life vests cover up my designer fishing wear. After all, you gotta look good in that broken down, rusty, rotten boat that should have been scrapped years ago. Life vests take up too much room and they make sitting in any seat with a backrest very awkward. I’m against anything the government says is good for you. And heck, life vests are only required for children. I’m a large person, really large, and there aren’t any made that are my size. I’m a good swimmer and don’t need to wear a life vest. I keep plenty of life vests onboard in the boat’s storage compartment. Boating accidents are very rare and the odds are it’ll never happen to me. I drive my boat very safely. The Chesapeake Bay region’s residents and visitors enjoy recreational fishing; swimming; hunting; boating under sail, power, and paddle; bird watching; and hiking. According to a 2012 report (Stynes, 2012) in 2009, tourists spent $58 billion in Maryland, Pennsylvania, Virginia, and Washington D.C., directly supporting approximately 600,000 jobs and contributing $14.9 billion in labor income and $9.4 billion in taxes. Tourists spent $25.7 billion in the Chesapeake Bay Gateways Network region alone. The Chesapeake Bay Gateways and Watertrails is a partnership of parks, refuges, museums, historic sites and water trails within the Chesapeake Bay watershed. The network encompasses over 170 sites that provide recreational and educational opportunities. Click the illustration [Chesapeake Bay Gateways and Watertrails Network] to the left for an interactive map and guide to the sites. 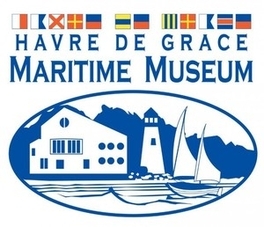 The Havre de Grace Maritime Museum is dedicated to telling the story of the rich maritime heritage and history of the Susquehanna River and Chesapeake Bay. On display are a variety of tools used by Watermen to harvest the Bay. The Museum strives to educate the public that all areas - humans, plants, animals, and organisms - need to be strong in order for the Bay to be healthy. 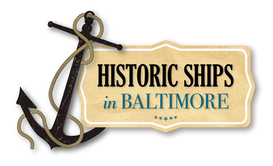 Historic Ships in Baltimore is the steward of the US Sloop-of-War Constellation, US Submarine Torsk, US Coast Guard Cutter Taney, Lightship 116 Chesapeake, and the Seven Foot Knoll Lighthouse. It is also the custodian of related artifacts, materials, and histories from these national treasures, celebrating over 200 years of naval and maritime history. From fighting the Transatlantic slave trade to daring rescues on the Chesapeake, Historic Ships in Baltimore provides hands-on encounters with history. The Rock Hall Museum preserves and presents artifacts from a changing bayside town on Maryland's Eastern Shore. The focus is on community lifestyle of a small town with a past that reaches back through Bay-related commerce and farming, and a future that assuredly will be linked to its relationship with the Chesapeake Bay. The Rock Hall Museum collection includes representative examples of equipment used in the early years of harvesting the Bay. The U.S. Naval Academy Museum is located in Preble Hall on the grounds of the U.S. Naval Academy. The Museum offers two floors of exhibits about the history of seapower, the development of the U.S. Navy, and the role of the U.S. Naval Academy in producing officers capable of leading America's sailors and marines. Their displays combine historical artifacts with video and audio technology to bring to life the stories of the men and women who have served their country at sea. 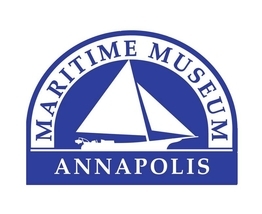 The Annapolis Maritime Museum educates youth and adults about the Annapolis area's rich maritime heritage and the ecology of the Chesapeake Bay through programs, exhibits, and community events. They accomplish this mission through an engaging suite of hands-on programming by bringing visitors to their unique location at the mouth of Back Creek overlooking the Chesapeake Bay. The education program at the Annapolis Maritime Museum annually serves more than 3,000 students from the City of Annapolis and the surrounding region. Located in Solomons, Maryland, at the mouth of the Patuxent River, the Calvert Marine Museum offers fun, hands-on experiences in a beautiful setting. The Museum was founded in 1970. Among its exhibits are the bugeye Wm. B. Tennison, and the J. C. Lore Oyster House, National Historic Landmarks. It also houses artifacts from the old Cedar Point Light, and maintains the Drum Point Light and grounds. 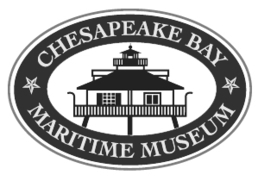 Situated on 18 waterfront acres in the historic town of St. Michaels, Maryland, the Chesapeake Bay Maritime Museum offers exhibits, demonstrations, boat rides on the Miles River, and annual festivals that celebrate Chesapeake Bay culture, boats, seafood, and history. The Museum’s floating fleet of historic Chesapeake Bay watercraft is the largest in existence and its small boat collection includes crabbing skiffs, workboats, and log canoes. The Museum’s working boatyard highlights restoration of the Bay’s traditional vessels. Located in the heart of Cambridge, the Richardson Maritime Museum invites visitors to discover the wooden boatbuilding heritage of Dorchester County and the surrounding region. A unique collection of traditional Chesapeake Bay ship models, tools and artifacts brings that heritage alive for visitors of all ages. The Museum's new Ruark Boatworks facility is passing on the knowledge and skills of area boatwrights to volunteers and visitors alike. 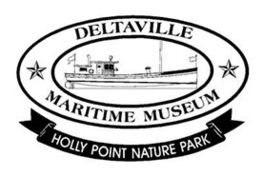 Located on Mill Creek, just off the Chesapeake Bay in the heart of Deltaville, Virginia, the Deltaville Maritime Museum and Park offer a unique opportunity to enjoy the boat building history of our area and the serenity of river life. The nature park includes opportunities for walking, birding and viewing wildlife along trails. The museum is devoted to the preservation of the area's vast maritime history and provides educational experiences related to the maritime industry. The Ward Museum of Wildfowl Art holds one of the most comprehensive collections of wildfowl carving in the world. Growing from the simple practice of creating decoys to attract the Chesapeake Bay's heavy concentrations of migrating ducks and geese, wildfowl carving has evolved into a fine art form. The Ward Museum tells the story of the connections between the natural environment, hunting and art and displays some of the finest historical and modern examples of wildfowl carving. The Reedville Fishermen's Museum is located on the banks of Cockrell's Creek on land once owned by Captain Elijah Reed. In 1867 Reed sailed down to the Chesapeake from Maine and into the creek, setting up his first small fishery. Today Reedville remains one of the most active fishing ports in America and the heart of the menhaden fleet. The museum houses a collection of artifacts and historical material covering the history of menhaden fishing from its inception to the present. The Mariners' Museum, located in Newport News, VA near the tidal portion of the James River, a major tributary of the Chesapeake Bay, was named by Congress in 1998 as America’s National Maritime Museum. Established in 1930, this international maritime museum focuses much of its programming on the history and culture of the Bay region, the use of Bay resources through an array of activities, and the vital role of the sea in mankind’s development. Nauticus is a maritime-themed science center and museum located on the downtown waterfront in Norfolk, Virginia. The museum features hands-on exhibits, interactive theaters, aquaria, digital high-definition films and an extensive variety of educational programs. The second floor of Nauticus houses the Hampton Roads Naval Museum. The Hampton Roads Naval Museum is operated by the United States Navy and celebrates the 238 years history of the fleet in the Hampton Roads region of Virginia. The U.S. Lightship Service was started in 1820. The Lightship Portsmouth was built in 1915. She served for 48 years helping mariners avoid dangerous shoals or enter safely into harbors at night. Typically, the ship would anchor at a strategic location at sea and remain there for months at a time. Now a museum, the ship’s quarters are fitted out realistically and filled with fascinating artifacts, uniforms, photographs, models, and more. The Portsmouth Naval Shipyard Museum presents a panoramic experience covering over 250 years of Portsmouth, Virginia history. The city and the shipyard have been intertwined since the founding of the Gosport Shipyard in 1767, which was later, renamed Norfolk Navy Yard and finally Norfolk Naval Shipyard. The Museum offers a unique perspective on U.S. history, from Colonial to Civil War times and beyond. You’ll find beautiful ship models, uniforms, military artifacts and exhibits portraying life in 18th, 19th and 20th century Portsmouth, Virginia. The Watermen's Museum tells the story of Virginia's working watermen who for generations have worked the rivers and tributaries of the Chesapeake Bay harvesting, year round, its abundant products. The first Virginia watermen were native American Indians who taught the Colonists to fish and set nets. Exhibits include workboat models and displays that show the challenge and skills used in crabbing, oystering, clamming, and fishing during the seasonal changes on the Bay. BoatUS - Boat Owners Association of The United States - has been providing service, savings, and representation to millions of boat owners nationwide since 1966. BoatUS is the nation's most powerful advocate for advancing the interests of boaters and the single source to meet all boaters’ needs. They offer discounts with retail chains, boat and towing insurance, and other resources to support the recreational boat industry, including publication of BoatUS magazine. The Chesapeake Bay Gateways Network connects people with the Chesapeake Bay and its rivers through more than 160 exceptional parks, wildlife refuges, museums, sailing ships, historic communities, trails and more. Gateways are the special places where you can experience the authentic Chesapeake. 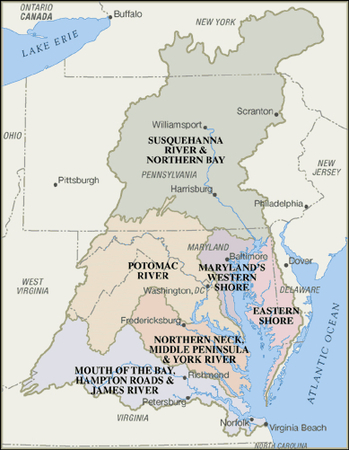 The Chesapeake Bay Gateways and Watertrails Network is administered through the National Park Service Chesapeake Bay Office. ChesapeakeBoating.net was developed by the Chesapeake Bay Magazine. The site provides information on Bay cruising destinations, marinas, restaurants, repair facilities, and boat brokers. Links are provided to read feature stories about the Bay online. ChesapeakeBoating.net also has dedicated pages for monthly business news, boat reviews, weather, and professional services. This website maintained by the Maryland Department of Natural Resources provides access to regulations for fishing the waters of Maryland, including the Chesapeake Bay. Information is also provided about fish found in the Bay, invasive species, and how to find of charter boats and guides. SpinSheet strives to be the go-to publication and website for boaters and sailors of all levels who seek more fun and sport on the Chesapeake Bay. It provides pertinent, timely regional news about on-the-water adventure, cruising, racing, day sailing, fishing, boatbuilding, the boating lifestyle, and new and old boating friends and families. Their goal is to promote active, water-related regional events that are open to the public and bring together Chesapeake locals and visitors to get out more often on boats of all sizes to enjoy the Bay. PropTalk is the sister publication to SpinSheet that caters to power boaters. The website and publication cover cruising, fishing and racing on the Chesapeake Bay. It also offers viewers and readers the opportunity to keep abreast powerboat news and the personalities on the Bay that make their living working or operating boats. This website maintained by the Virginia Marine Resources Commission provides access to regulations for fishing the waters of Virginia, including the Chesapeake Bay. Information is also provided about catch records, boat ramp access, artificial reef locations, and how to find charter boats and guides.